As Public Relations Director for my Rotary Club - the Rotary Club of Kamloops, also known as the downtown Rotary Club - I've been working on solving some web site issues. I'd say the folks at Clubrunner have dropped the ball a bit (very willing to change my mind here). The new club web site is available at www.rotarykamloops.org - right here. Been a member of Rotary for almost a decade, and started some of the first web sites for Rotary in Kamloops. Neeeded to make sure we got this fixed. Ahhh...technology. Open Gov West Will be Awesome! Open Government is about transparency, participation, and collaboration. Our region - the Pacific Northwest and Cascadia - is positioned to lead the way in developing the policies and technologies that will make government more efficient and empowering - and can engage citizens at a whole new level. Open Gov West is a first-of-its-kind conference bringing together leaders from across the region. Divided into two distinct days with separate formats and content, the conference offers participants both a work summit on best practices and standards for regional governments (Day 1) and an exciting "unconference" exploring new ideas, technology, and practices in open government (Day 2). All conference attendees are invited to a social event the night of the first day. Early Bird Registration expires this Friday, March 12. (Full Event: $75. Only Day 1: $60 or Only Day 2: $30.) Conference scholarships and discounts for travel expenses are available. You can also email me for a 10% discount code. I do too but don't watch it too often. Great nuanced crime and cop drama. Listening to CBC's All Points West last week turned me on to the band Old Man's Beard. I have officially fallen in love with their incredible lyrical sunny tune Tofino! 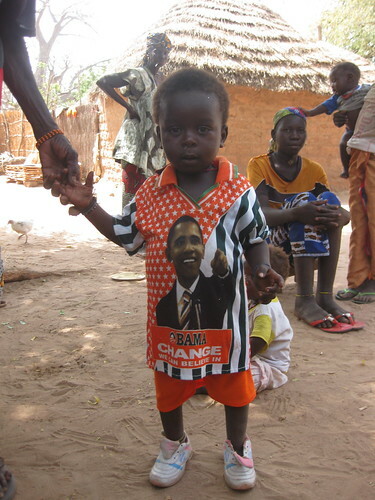 Everyone loves Obama!, originally uploaded by Rachel Binta. From the co-founder of Blogher, Jory Des Jardins, who has this very accessible and clear writing style. Really enjoy her posts. Here is the the entrepreneur's guide to looking bigger than you are. A good friend of mine told me today that governments / politicians often "lie by telling the truth". This is a seriously intriguing thing to say and, of course, I pressed him to elaborate. He said he thinks that governments often say things like "we have given the Ministry of education the largest annual increase in it's history" but leave out that they also made the deepest cuts in history to the same ministry a year or two earlier. Lots of examples of that. Lesson for citizens: context counts.